The view east along the summit ridge of Whiteside. Whiteside itself takes up most of the picture. Hopegill Head, the next summit on the ridge, is the pointed peak just to the right of centre. 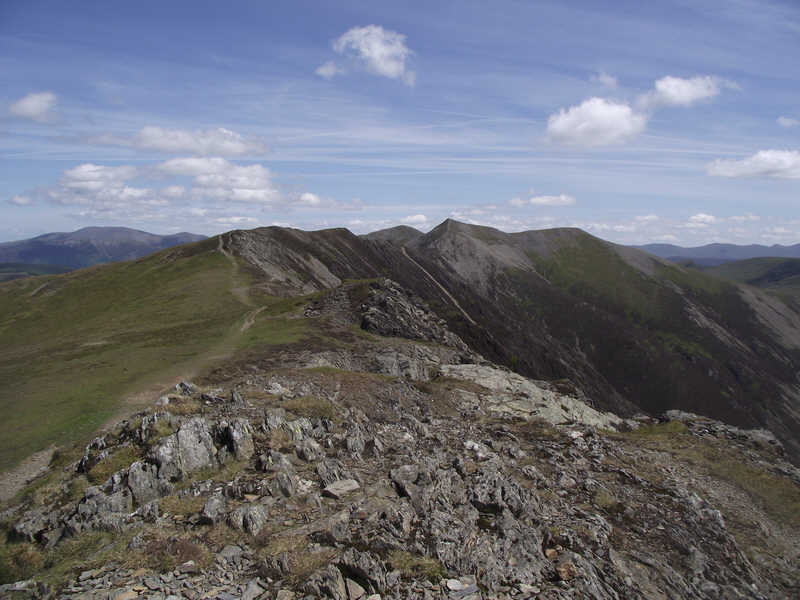 Also note the long summit ridge of Skiddaw, seen in the far right.